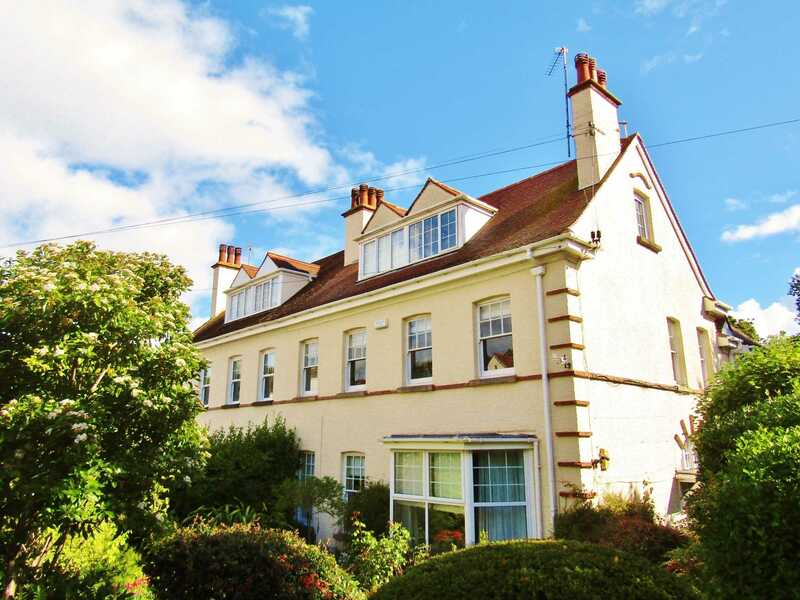 Ransoms Residential are delighted to present as available for let this beautiful and very spacious 3 bedroom, 2 bathroom ground floor apartment set within a period building located on a highly desirable road in Budleigh Salterton. A must see! This lovely home occupies the entire ground floor of this grand period home which is comprised of just 2 dwellings. This apartment is very unique in many ways and has swathes of character and period features. Offering more space and facilities than many 3 bedroom homes this apartment comprises of a large private entrance hallway, 3 large double bedrooms, 1 bathroom with free standing slipper bath, 1 full sized shower room, a guest W.C, a spacious bay window lounge, a kitchen with appliances and utility space, a conservatory and access to beautiful gardens. What a treat! You enter the property through a stunning large front door with charming period styling straight into a spacious hallway with high ceilings and detailed cornice. The entrance hallway leads to the lounge, a very large double bedroom, the shower room, guest W.C, the bathroom, 2 further large double bedrooms and the kitchen. The hallway is large enough to take free standing furniture maximising the usefulness of this space. The hallway is also very bright as light pours through the glazed front door. The lounge is a beautiful space. Large enough for plenty of furnishings. A huge bay window overlooking the front gardens. 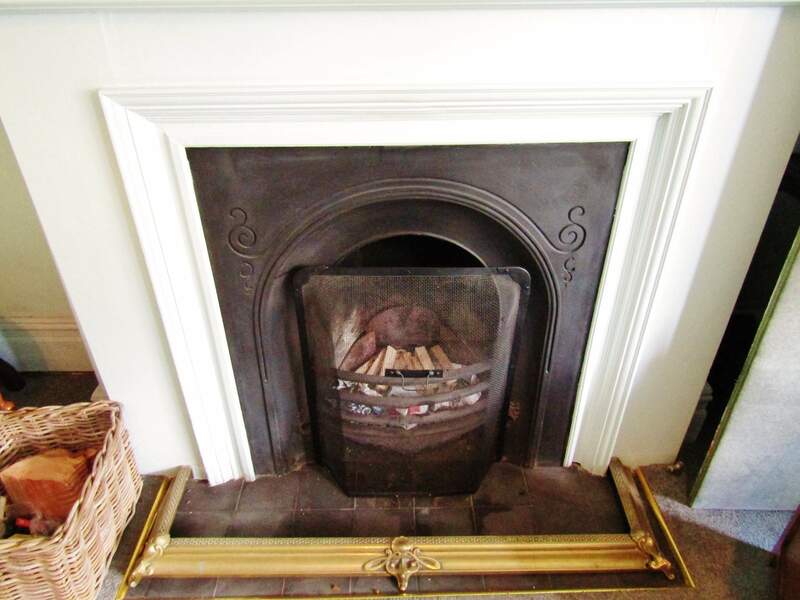 Lovely period features such as the cast iron fire, cornice and picture rails. The master bedroom, which is the first of 3 double bedrooms is very large in size. 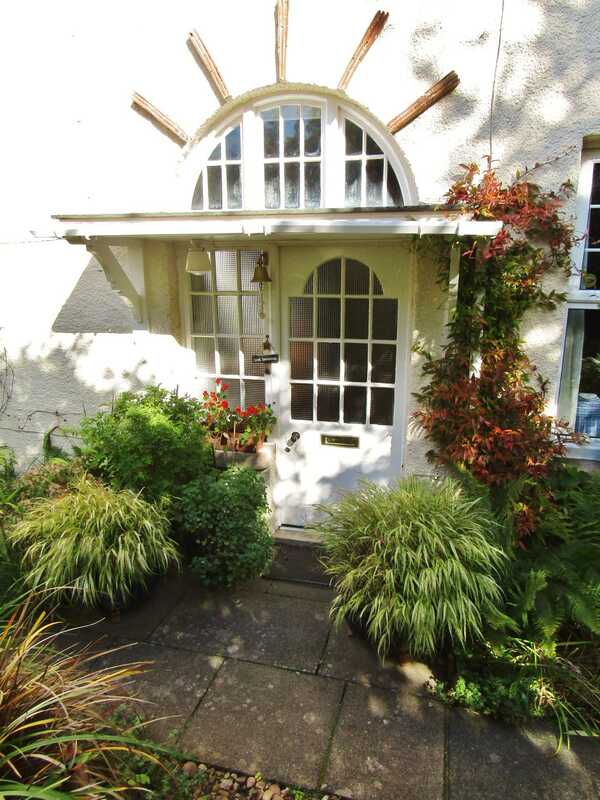 A versatile room with 2 large windows overlooking the front of the property and once again period features. 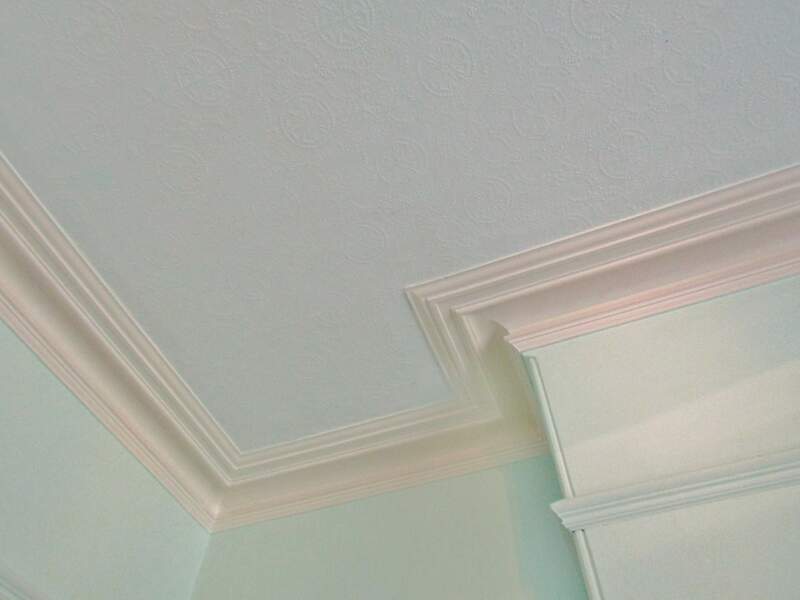 This amazing room has just been freshly fully redecorated. The 2nd double bedroom is also large and has windows overlooking the side elevation of the property. This room has large built in storage and stylish wall lamps and is large enough to house plenty of free standing bedroom furniture. This room has just been freshly decorated. The shower room is a very good size and comprises of a full suite including sink, W.C and a large double shower. There is additional storage maximising all available space and the flooring is fully tiled for ease of maintenance. The guest W.C is a handy addition - especially if the bathroom is in use. Keeping things simple there is a modern W.C, a small sink and a window. This room has vinyl flooring fitted and is superb for use by guests or when the bathrooms are in use. 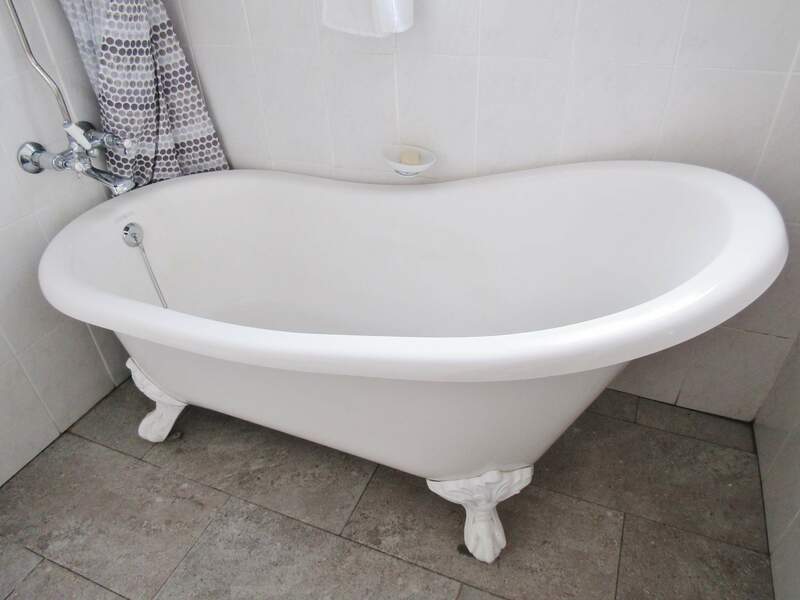 The main bathroom is also very interesting with full floor and wall tiling and a lovely free standing 'slipper' roll top bath. There is also a shower fitted over the bath and a white ceramic sink in the corner. The bathroom is very bright owing to the large obscure glazed window and there is a heated chrome towel rail. The conservatory is a wonderful addition to this home with large white uPVC windows looking onto the garden and an elegant pitched roof. The floor is fully tiled and the room is capable of taking a 2 seater and 2 armchairs with ease. 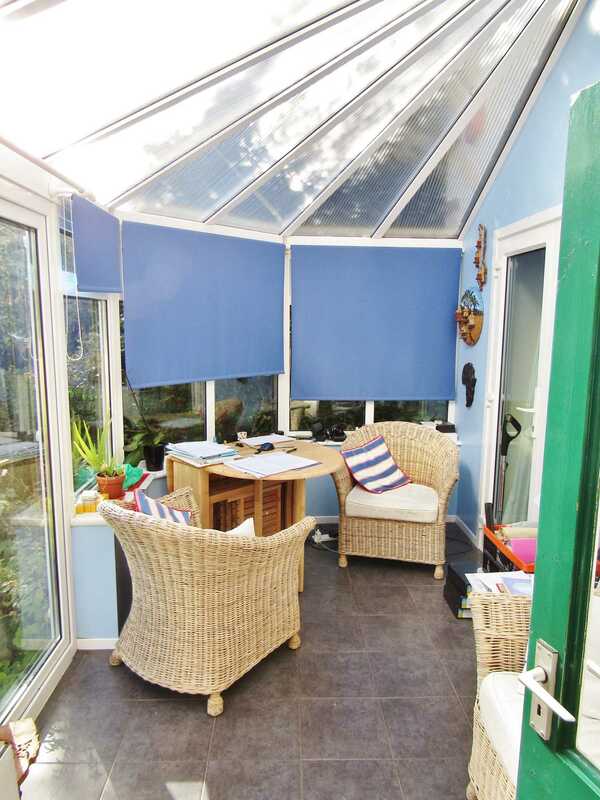 The conservatory can be accessed via the bedroom or the utility. The kitchen is a unique space with modern fitted units in a country style with black granite effect work surfaces on both sides of the room. There is a small arch way that leads to further kitchen units and a recently installed gas combi boiler. The kitchen comes complete with appliances and has the addition of a small utility area for the washing machine and additional worktops with storage. 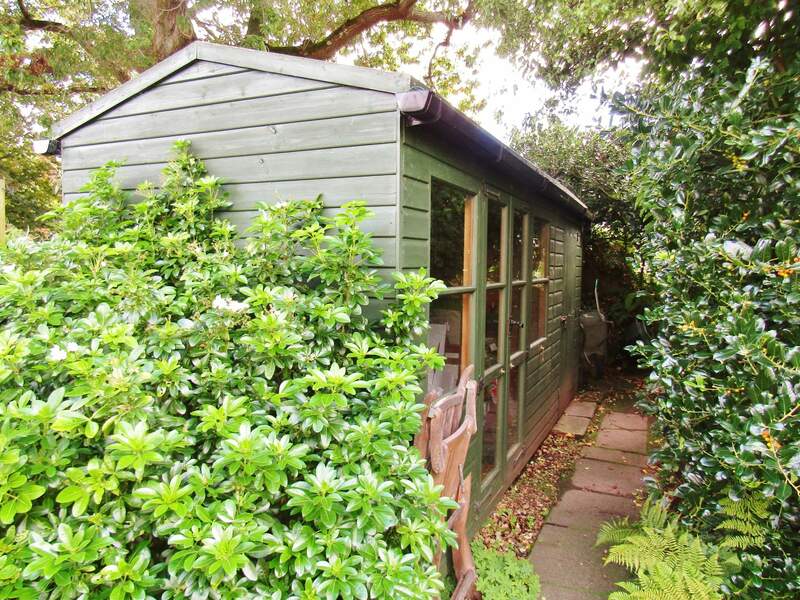 The utility also provides access to the conservatory and to the back door at the rear of the property. The garden. An absolute gem. A sanctuary. An outdoor escape filled with something different at each turn. 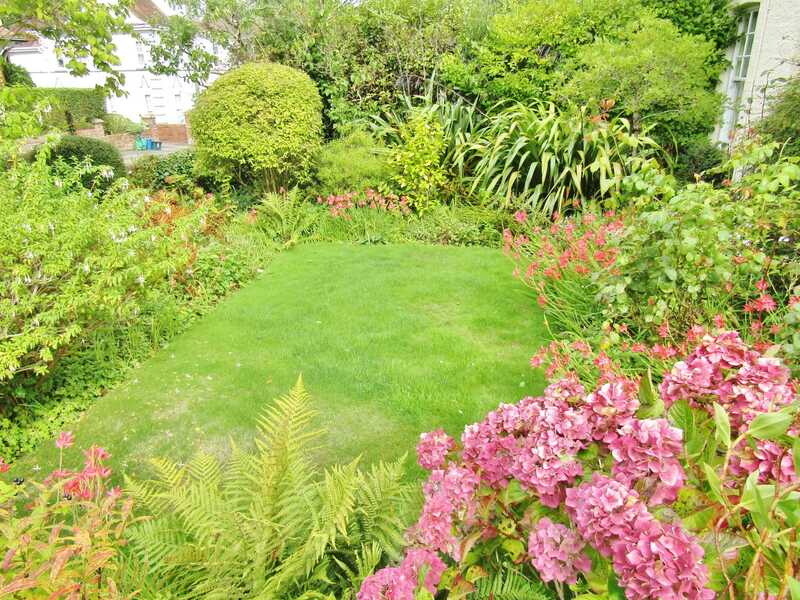 This English country garden is a wonderful addition. This is certainly a bonus as the garden is created of sections each with its own appeal. Mature shrubs, flowers and plants surround a lawn area giving the feel of an old English country garden and this leads off to a private storage shed, a pond with Carp, fruit trees, and a hide away perfect for seating and a barbecue. There are strawberry plants and flowers. Apple and pear trees. 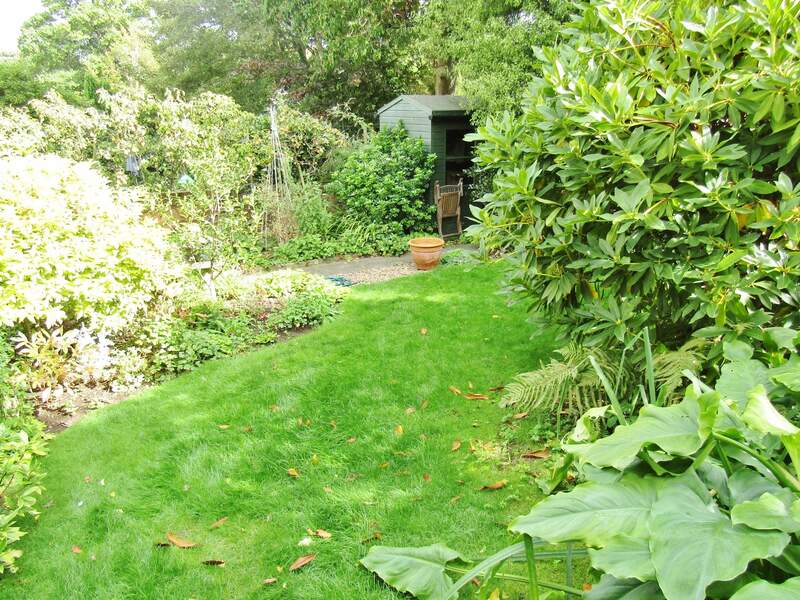 There is also a cleverly placed drying area that is in the path of the suns rays.The option is there to be self maintained, however a gardener is in place at the moment that can continue at a small shared cost. This property is unique, large and filled with charm. The location beautiful on a highly sought after road only moments from the Golf Club and the bay. The road is quiet and peaceful and there is ample parking. The property comes with gas central heating and has undergone extensive redecoration. It really is a must see.